A battle royale game set in the Titanfall universe will be released on Monday, according to numerous rumors online. some reports saying it will NOT ft Titans er how is it Titanfall then??? etc. EA and Respawn are set to announce a free-to-play battle royale game based on Titanfall Monday, February 4, according to multiple sources within and close to the games industry. Dubbed Apex Legends, the game has been described as a mix of Call of Duty: Black Ops 4’s Blackout and Rainbow Six Siege. Apex Legends is said to be a hero battle royale, allowing players to choose a class or hero with distinctive abilities and operate as part of a team of up to three, with servers supporting up to 60 players, according to esports consultant Rod Breslau, who goes by @Slasher on Twitter. Breslau says his sources describe the game’s free-to-play model as a “similar approach to that in Overwatch,” with microtransactions and loot boxes for in-game cosmetic items. Twitter games blogger Nibel has sources saying Apex Legends is “set in the Titanfall universe” and described it as a mix of Blackout and Siege. 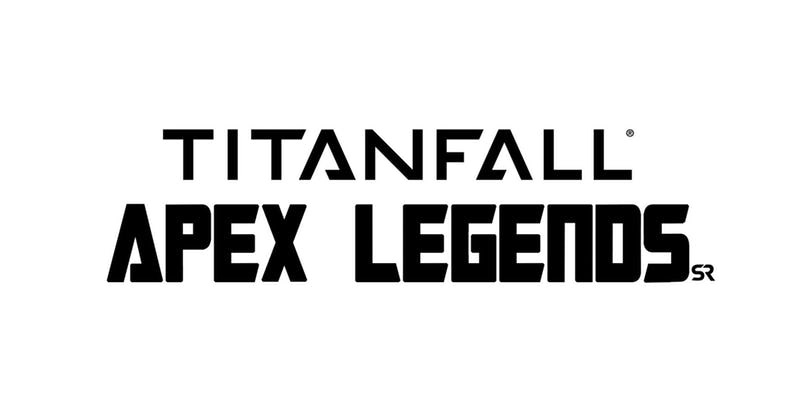 Nibel also reports that EA filed for trademarks for the name Apex Legends (and Project Apex) last October, right around the time that EA announced that Respawn would have “multiple games” launching in 2019. But no Titans? /sadface. That would have be really exciting. Free to play game from EA? Hah! That's where EA is headed in the next 5 years. Everything will be sliced up and sold separately. There are some games industry analysts that already say battle royal has peaked and will decline over the next year. Eh dunno people still playing a good bit of battle royal, kids mostly but hey. And titanfall did do enough unique gameplay hooks it could work. But woo another battle royal game let me get my apathy hat on. Cool, a glorified deathmatch on a large map. The battleroyal genre is so fun, innovative, and impressesive. I think I remember a mod in Arma thats similar. To hell with wanting a 8-12 hour SP that doesn't hold your hand, doesn't have walky talky segments, and cutscenes that make up 1/3 of the play time. Pure quality gameplay. To hell well with a well made multiplayer mode.... that isn't battleroyal. If people want to play battle royale, they'll play Fortnite. I don't know why developers can't get that through their heads. It's like when DOOM came out...how many DOOM clones were there? How many people would rather play the clone over DOOM? No one. Game genres always need an evolution and inovation. Devolepers are trying to to that. There ware many Doom clones but eventually comes the game that can top the king. People will not play Fortnite forever and epic knows that. Its one of the reasons they started epic game store and doing everything to compete with steam. If that was even remotely true, we'd still be playing the original Doom. This could work. There's a gap in the market atm for an F2P BR game that isn't Fortnite. I hope there's no titans in a battle royale, sense? Never played in a team, would like solo mod, will have it on my radar. Going by what I've seen in the stream thus far I can confirm that the game will have grass! 40k titanfall fans sat watching grass grow for twenty minutes COME ON WOT R U DOIN!??? ?